The American capitol of psychedelic rock was Austin, Texas, and no band soared higher than Roky Erickson and the 13th Floor Elevators. 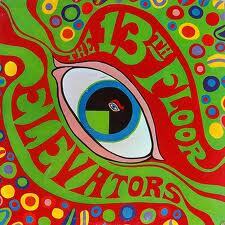 In addition to acid-tinged garage rockers such as the crazed-love anthem, "You're Gonna Miss Me," the Elevators' debut included tracks such as "Reverberation (Doubt)," "Roller Coaster," and "Splash 1," which viscerally evoked the sounds of their titles while offering lyrics that provided a philosophical structure for the psychedelic experience. The lyrics were written by Tommy Hall, who also played amplified jug.